Back Bay transformed from a swampy area into Boston's cosmopolitan hub. 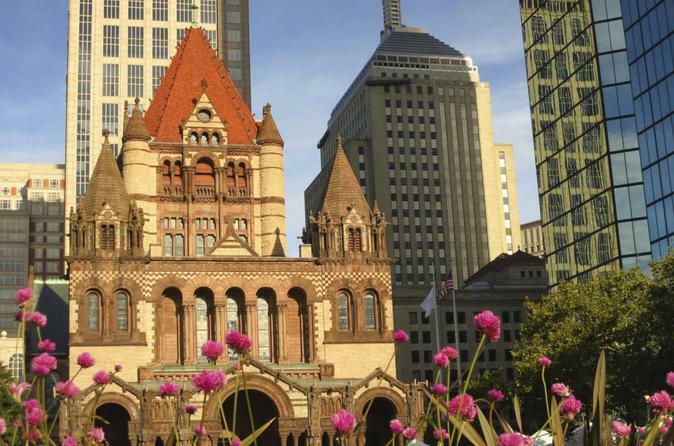 Copley Square is now home to the city's iconic architectural landmarks while Commonwealth Avenue is lined with grand 19th century brownstones. Learn how to see the limitless photo opportunities in Back Bay from a creative angle: the eclectic architectural styles of the magnificent Boston Public Library and Trinity Church, the many different reflections on the former John Hancock Tower, abstract details of statues, colorful flowers, fountains, the elegance of the French-inspired residential area and much more. Historical commentary on each of the iconic landmarks are also provided throughout the tour. The PhotoWalks Guide to Creative Photography is included in the tour price. This e-booklet provides valuable information on maximizing your photography skills and user-friendly explanations of camera settings.